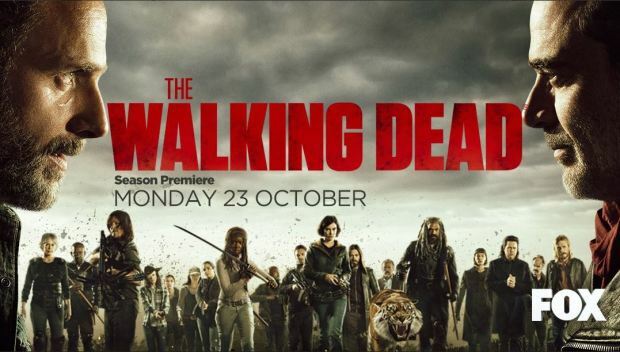 The much awaited Season 8 of 'The Walking Dead' is upon us, and, with just a few more days to go, the thoughts of survival in a post-apocalyptic situation would have once again started to haunt many of you. Before you blow your brains out of sheer exasperation let's bring your attention to an interesting study that has come up on how food supplies hold up over time. In a real world things cannot be created out of thin air and given 'The Walking Dead' is taking place in a world that's as much real as our own it's only natural to think that the food supplies would slowly be getting exhausted. It's also important to think in terms of time i.e. for how long the rations of food would help you survive. Keeping all these factors in mind while gaining the essential knowledge of the shelf lives of the different kinds of food items in a world plagued by an apocalyptic disaster, Data Label have put together a very useful infographic on the subject that gives a detail of what situation you would be in after so many days, months and years with food supplies keeping in mind the scale of the disaster. The basis for this study are the various apocalyptic disasters that take place in popular movies and TV shows such as 28 Days Later, I Am Legend, The Walking Dead, etc.